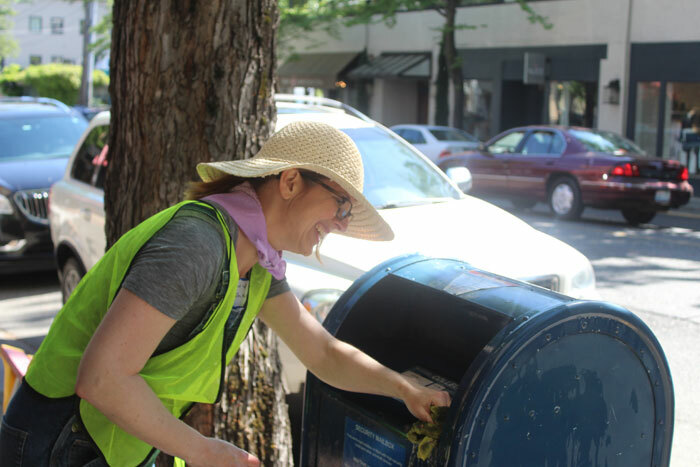 Photo by Brandon Macz: Madison Valley Merchants Association member Lindy Wishard cleans a mailbox during the 2018 Spring Clean. This year’s spring cleaning event will take place 9 a.m. to noon Saturday, May 4. Volunteers will again meet up at Fast Frame, 2840 E. Madison St., and then spread out along Madison cleaning up the street, painting over graffiti and planting flowers. Coffee and donuts will be provided, and all are welcome to join. Donations can be made at MadisonValley.org by noting Spring Clean, and will offset the cost of the cleanup. The Spring Clean started six years ago. “When we first started, it was a mess,” Lindy Wishard told MPT during last year’s event. She is the organizer with the merchants association.